Congratulations on your new Boise home! If you’ve previously used the EZ forms to file your taxes, you’ll need to remember to use the 1040 Schedule A instead. It is more complicated than taking the standard deduction, but you’ll be able to itemize costs like mortgage interest, property taxes, the points you paid to get your loan, and mortgage insurance. Home equity line of credit: Do you have a home equity line of credit (“HELOC”)? In general, equity debts up to $100,000* are fully deductible. In addition to the items connected directly with your home, the Schedule A also allows you to itemize state withholding and local taxes. If you donated furniture, clothing, appliances, and other items to charity such as the Idaho Youth Ranch when you moved, you’ll be able to itemize your charitable deductions as well. If you don’t know the questions to ask, or if you want to purchase a home so that you can take advantage of tax breaks for next year, contact us. We are your real estate professionals and we can keep you up to date on the latest information on the benefits of home ownership. **The material contained herein is for informational purposes only and does not constitute tax advice. 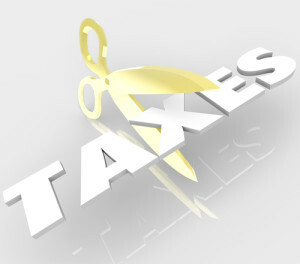 Homeowners should consult with their own tax advisor or attorney with regard to their personal tax situation.